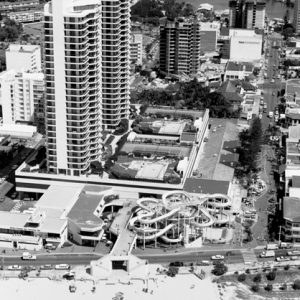 Grundy’s featured a massive four-slide water flume opposite the Surfers Paradise beachfront. Grundy’s Entertainment Centre, an arcade game and water slide venue affectionately known as Grundy’s, opened on a long weekend in March, 1981. Situated in the heart of Surfers Paradise at the beach end of Cavill Avenue, it was developed by media entrepreneur Reginald (Reg) Roy Grundy AC OBE (1923-2016). Grundy’s was located in the Paradise Centre and was part of a $5.5 million lease signed in 1980 by the Grundy Organisation with the owner of the Paradise Centre, Eddie Kornhauser. 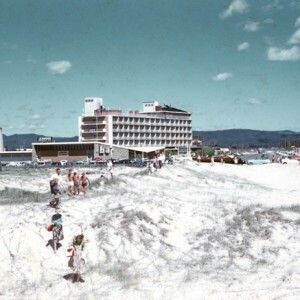 In the 1970s, Kornhauser had demolished the Seabreeze and Surfers Paradise Hotels to build the shopping and hotel complex which included the accommodation towers Ballah and Allunga. 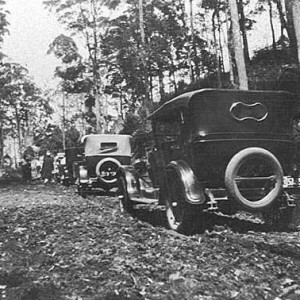 The opening of Grundy’s took place at the same time as plans to remove vehicles and permanently turn Cavill Avenue into a pedestrian only mall. The idea for a pedestrian only mall had initially been trialled in 1978. 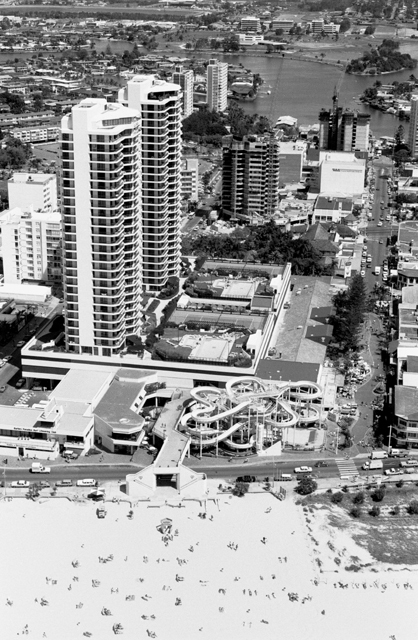 Following the success of the trial, Cavill Mall, the first of its kind in Queensland, was completed in 1982. 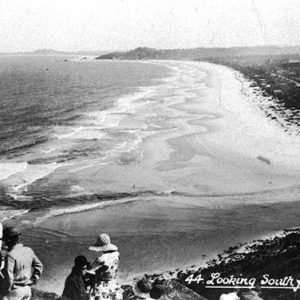 Grundy’s featured a massive four-slide water flume opposite the Surfers Paradise beachfront. 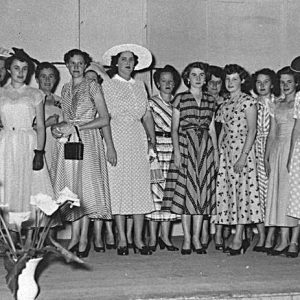 The venue also included a traditional carousel, live variety entertainments, arcade games, a ghost train, a shooting gallery, an old time photograph studio and an Australian version of Chuck E. Cheese that was named Charlie Cheese’s Pizza Playhouse. In the late 1970s and early 1980s computer arcade games were becoming increasingly popular and ride based theme parks were starting to be established on the Gold Coast. When Grundy’s opened its nearest rival was Magic Mountain in Miami which featured water slides, a miniature train, a chair lift and other attractions. 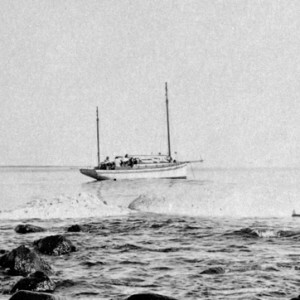 Sea World, on The Spit, had yet to incorporate large rides into their theme park and remained a sea life and water ski based attraction. Dreamworld did not open at Coomera until December 1981. The water slides at Grundy’s were very popular with young tourists and locals and featured in rock band Australian Crawl’s 1981 music video ‘Errol’. The water slides were closed in 1987 and removed in the early 1990s. 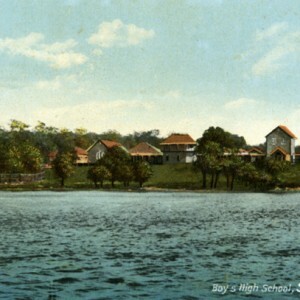 It was around this time that the Grundy Organisation sold the amusement centre. Grundy’s eventually closed in 1993 and later that year, Timezone Australia took over the operation as part of its expansion across Australia. Grundy, R. (2010). Reg Grundy. Pier 9.
https://www.parkz.com.au/parks/AU/Surfer_s_Paradise/Grundy_s_at_Surfers_Paradise Retrieved 28 Mar, 2017.
http://timezonesurfersparadise.com.au/about-us.html Retrieved 28 Mar, 2017.
http://www.goldcoastbulletin.com.au/lifestyle/take-a-look-back-at-the-gold-coasts-first-theme-parks-including-magic-mountain-and-grundys/news-story/39b8869b4142b7576e515be01760fc86 Retrieved 28 Mar, 2017. Reg Grundy. Wikipedia https://en.wikipedia.org/wiki/Reg_Grundy Retrieved 11 Jul, 2017.